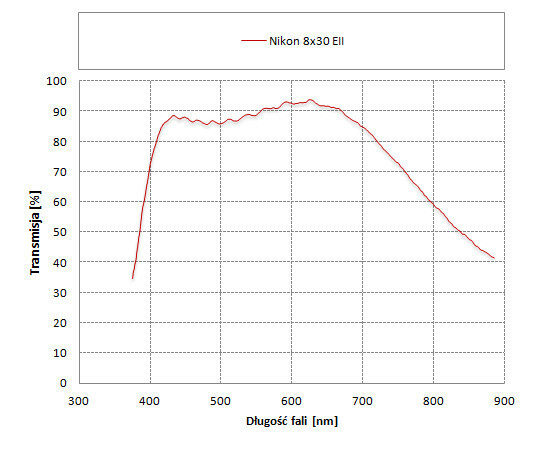 Nikon 8x30E II - binoculars review - AllBinos.com . Classic E series porro prism models were launched in 1978. 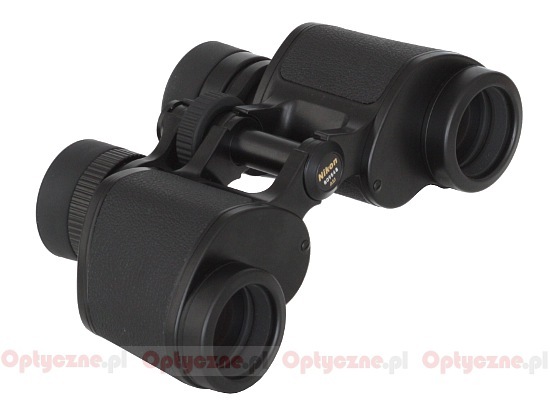 At first that group consisted of two pairs of binoculars: the 8x30 and the 10x35. In 1984 the producer added the 7x35 model to the line-up. The series was produced, with just slight changes, till 1999 when it was substituted by the EII models. The production of the 7x35 instrument was dropped at that time so only the 8x30 and the 10x35 models were continued. What’s interesting, although the predecessors featured a field of view which was significantly big, the EII series models increased that even further. As a result the Nikon 8x30 EII boasts one of the widest fields of view among all 8x magnification binoculars, available on the market. 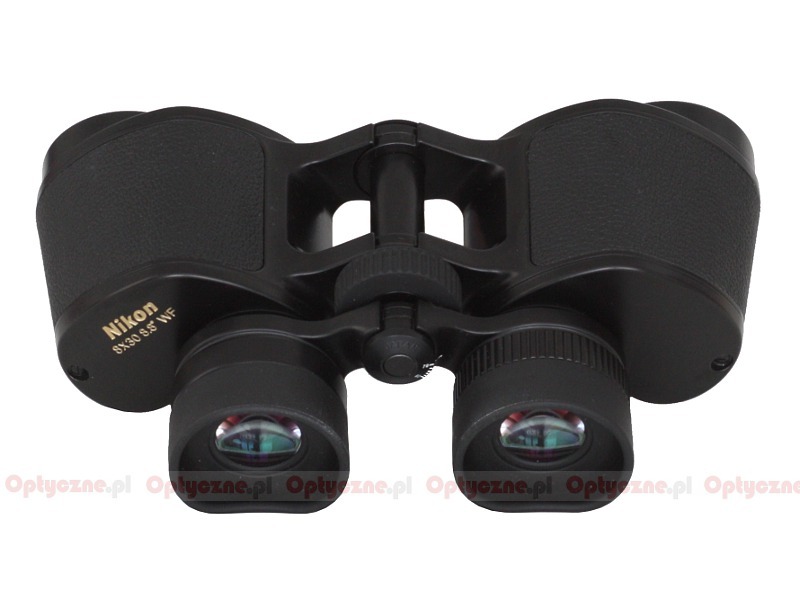 The binoculars’ design is very classic but the materials are definitely contemporary and the whole production process still takes place in Japan. 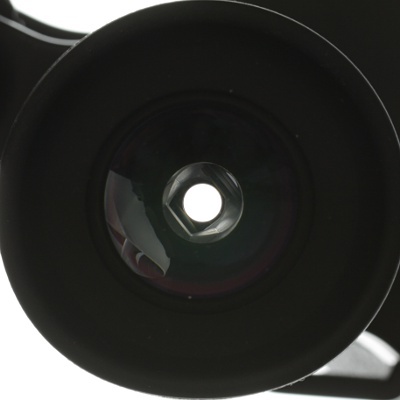 The casing is made of magnesium alloys and the optics - of lead-free, ecological glass; also the anti-reflection coatings meet current standards. 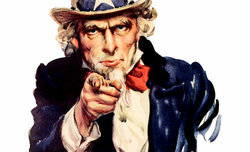 The only negative change, when comparing the tested device to the E series, is the case. They used to add a small, beautiful piece of Japanese leathercraft in a form of a very stylish hard case. Now you get a soft case, produced in China, which looks bland to say the least of it. On the left: the case you got with the E series; on the right: the EII series case. Apart from the case buyers get a strap and two caps. The binoculars come with 10-year guarantee period. Apparent field of view of 70.2 degrees. 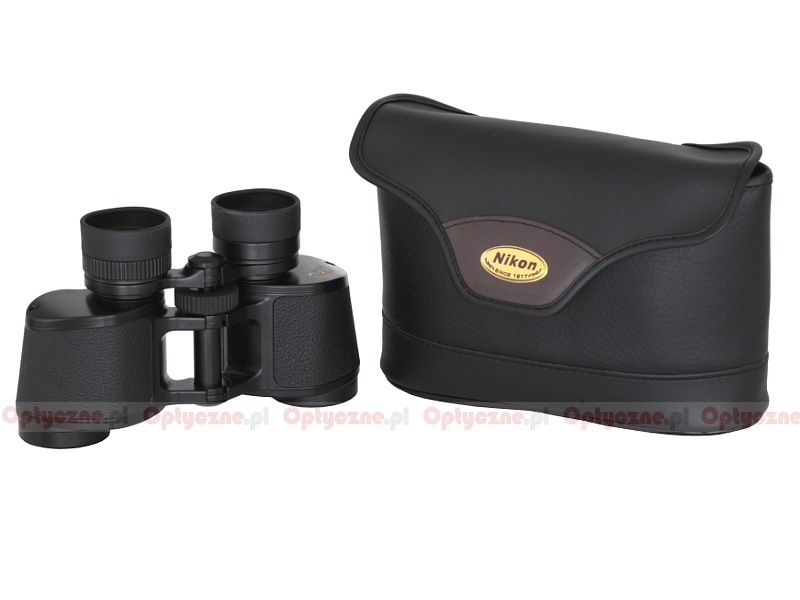 Before the E and EII series were launched the Nikon company had offered the 8x30A binoculars with a field of view of 8.5 degrees. 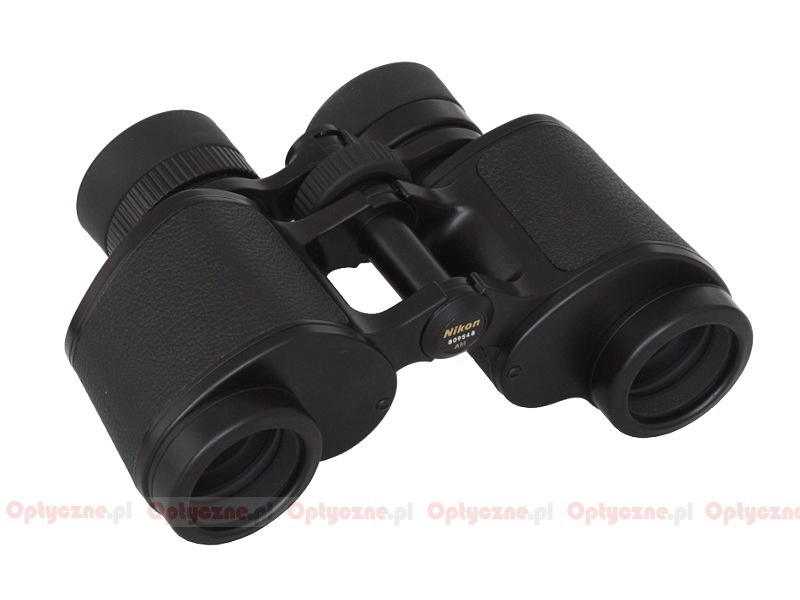 Porro prism 8x30 binoculars have been produced by Nikon for several dozen years. At the beginning these were instruments with a field of view amounting to 8.5 degrees, featuring small eyepieces with poor eye relief. Then they evolved, from A series (shown in the photo above) and through E series to take a form of the EII models by the end of the 20th century. The result is such that you get a product which joins the best of classic features and modern technology. It inherited a great field of view, amounting to 8.8 degrees, and a classic casing. 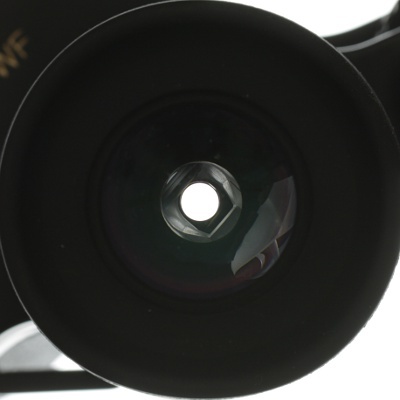 The modernity can be noticed when you examine the construction of its eyepiece, much bigger than that of the predecessors, correcting much better the edges of that huge field and providing a comfortable eye relief at the same time. 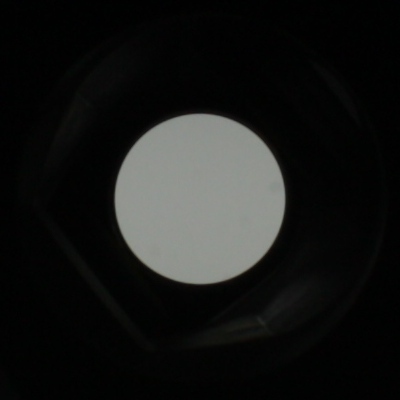 You shouldn’t forget, of course, about modern antireflection coatings and the casing, made of magnesium alloys. Here we get to the bottom of the matter. If Porro classics manage so well, why aren’t they produced in bigger numbers and promoted accordingly? Both the EII and SE series are a bit long in the tooth; still they compare favourably to contemporary rivals even if inside they feature a technology as old as two decades. I keep hoping the Nikon company, the producer of top-of-the-range binoculars with a very diversified line-up, will continue offering Porro devices of high quality. Mind you, they don’t have to develop two or three series simultaneously, as it has been the case so far. One really good series will suffice. I dream of a contemporary marriage of the EII and SE series: combining together a great field of view (with 65-70 degrees eyepieces), a handy, waterproof casing, antireflection coatings of the highest quality, which can guarantee high transmission levels and good colour rendering, and contemporary optics design, with eyepieces featuring a comfortable eye relief and a flat, perfectly corrected field of view. The series wouldn’t have to consist of many models; in fact it’s enough the producer focused on the most classic parameters: 8x32, 8x42, 10x42, 10x50 and 8x56.Instead of five pairs of binoculars, offered currently as EII and SE instruments, you would get five new ones, perfectly able to satisfy the needs of most of binoculars users. After daydreaming about such a device you must return to the harsh reality, though. 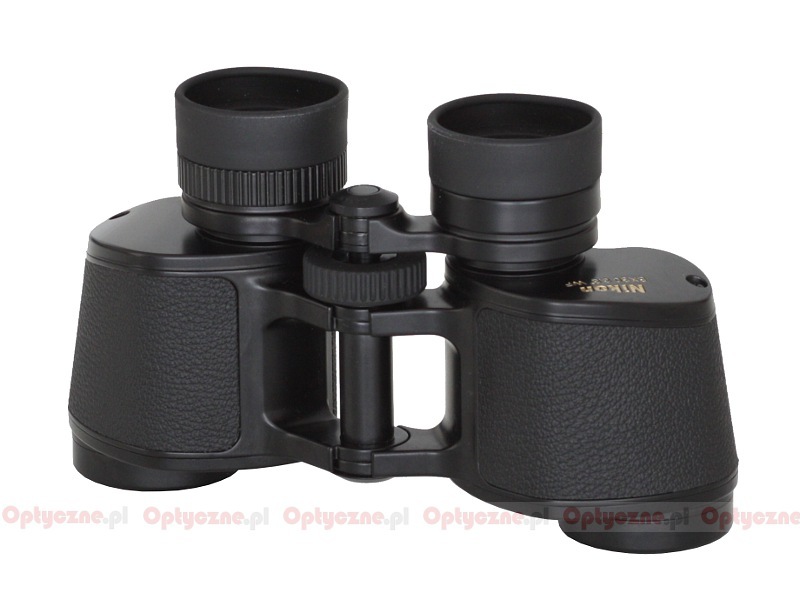 The reality is such that there are still EII and SE series binoculars available in the shops. We don’t know how long they will stay there so I’d advise you to hurry; if you don’t, you might face a choice between something (and here, I admit, the word ‘binoculars’ simply stuck in my throat) called Aculon and the EDG series, costing ‘just’ 2000 Euro…Ok, maybe I am exaggerating a bit, there are still Monarchs 5 and 7, both quite sensible pairs of binoculars, but it is material for another story.